US based Big Bend Telephone Company has become the first commercial user of the Cobham EXPLORER MSAT-G3 system for the next generation MSAT service in North America. The EXPLORER MSAT-G3 extends communications coverage in the field by combining satellite links and existing cellular based networks with Land Mobile Radio (LMR). This reduces infrastructure costs by removing the need to build and maintain radio repeater sites on the ground, while introducing significantly improved communications availability in any environment, when on the move. It is designed to cost-effectively expand and augment existing LMR Systems. 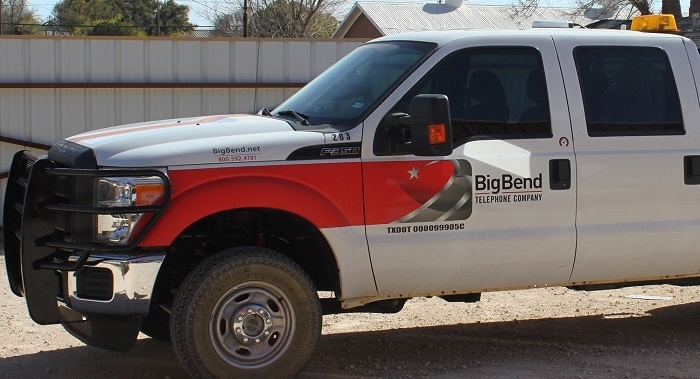 Following a four day onsite training course conducted by Cobham SATCOM partner Global Data Specialists (GDS) and Cobham Sales Engineer Brent Short, Big Bend completed the self-installation of EXPLORER MSAT-G3 in 29 service vehicles, which cover approximately 30,000 square miles. The service is live, with feedback from users in the field reporting high availability of dispatch communication. In addition, there is improved safety in remote areas, with the EXPLORER MSAT-G3 emergency features and a GDS added wireless clip-on microphone system, enabling engineers to communicate up to 1,000 ft. away from their vehicle. As an innovative, new 'Comms-On-The-Move' solution, the EXPLORER allows a broad range of new, high-quality voice and data applications over a secure communications link for diverse users in the emergency services and commercial industries, including utilities and telecoms. Florida-based GDS played an important role in the launch of the system to users in the utilities sector, with Big Bend Telephone Company leading the way as the first commercial user. The company is using the system to optimize logistics and safety in the field by providing its engineers with high availability communications in areas with no cell coverage. The voice service is a fixed monthly cost per terminal, giving Big Bend complete financial control, regardless of the communications channel used at any time. In addition, GDS offers a purchase program of the hardware with service and warranty included for up to 10 years. Cobham and GDS have also provided three EXPLORER MSAT-G3 mobile units for ad-hoc use by Big Bend staff and contractors. Two MSAT-G3 units are being used indoors at dispatch locations. As the system is IP-based, GDS connected two units to the customer's LAN, allowing for communication with vehicles in the field without the requirement for satellite connectivity at the office location. The EXPLORER MSAT-G3 looks and feels just like a standard LMR system, utilizing a rugged Push-To-Talk (PTT) Control Speaker Microphone. 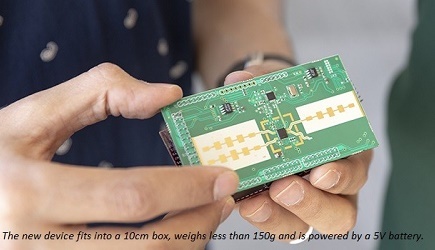 It can use an extremely powerful magnet system (optional) for securely mounting the electronically steered antenna to a vehicle's roof, with installation taking less than three hours. Uniquely, up to two USB cellular modems (optional) can be connected to the PTT terminal to enable two independent cellular network connections. In action, EXPLORER’s sophisticated routing functionality automatically switches between the available networks - satellite or cellular - dynamically selecting the most suitable based on quality and availability at any time. This all happens seamlessly without user intervention. 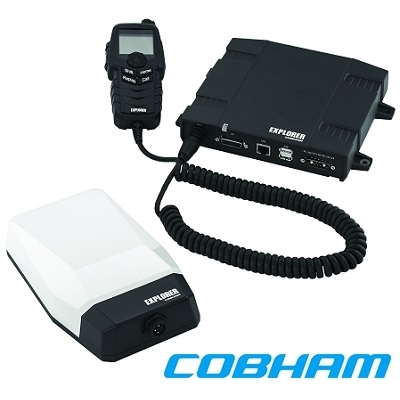 The innovative system combines the power of Cobham SATCOM's Push-To-Talk technology, the Ligado Networks SkyTerra 1 satellite and ViaSat's low latency, IP-based L-band Mobile Satellite Services network. It is also the only system in its class to provide AES-256 encrypted Push-To-Talk voice and associated data over satellite.